Find the newest Central McDougall condos for sale below. 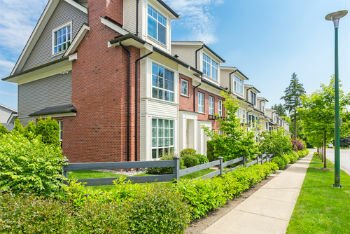 Located in Central Edmonton, immediately north of Downtown Edmonton, Central McDougall is primarily made up of condos and townhomes, with a few single-family homes. You'll find some new condo developments in Central McDougall as the community undergoes a revitalization process. Central McDougall is bordered by 111 Ave. to the north, 101 St. to the east, 105 Ave on the south and 109 St. at the western edge. Central McDougall real estate is a great investment for home buyers wanting to live close to downtown and have access to fantastic amenities. Learn more about Central McDougall below the following listings! Check out Central McDougall town houses and you'll quickly note some of the standout and historically significant buildings within the community like the Royal Alexandria Hospital, Victoria School of Performing & Visual Arts, the Prince of Wales Armory, as well as admin. offices of Edmonton's public school system. If you work at any of these places, Central McDougall certainly makes for an easy commute! Residents enjoy plenty of nearby shopping with Kingsway Mall just to the north, and a ton of stores down on 104 Ave. You'll find grocery stores within walking distance as well as a bunch of professional services. Grant MacEwan University's City Centre Campus is across the street, and you'll also discover many fantastic restaurants and watering holes in the community as well including the highly touted Cafe Amore Bistro. Explore Central McDougall homes for sale and check out Central McDougall Park, which is the community's recreation area and features a tennis court, large playground and a spray park, along with open fields. Another benefit of living in Central McDougall is its close proximity to Rogers Place, the future home of the Edmonton Oilers, who will be playing there as of the fall in 2016. Rogers Place is part of the larger Arena District development in downtown Edmonton, which will see many new buildings, shopping opportunities and gathering areas including a central plaza, much like Calgary's Olympic Plaza. For more information about Central McDougall condos, please feel free to contact MaxWell Challenge Realty today. Call us at 780.990-7777 and we'll help you find the home you've been looking for!